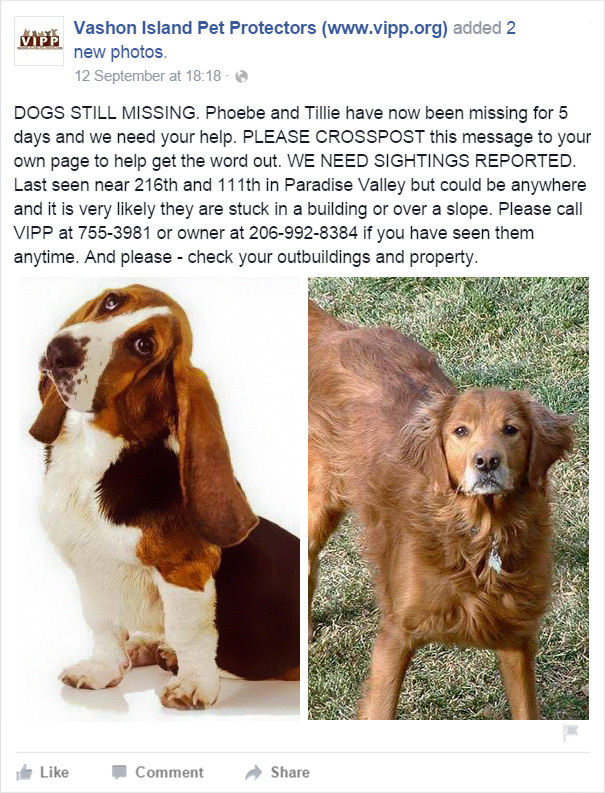 Tillie the golden retriever and Phoebe the basset hound didn’t return from a walk on Vashon Island, Washington, in early September. Their owner contacted Vashon Island Pet Protectors who, after five days, posted a lost dog notice to their Facebook. 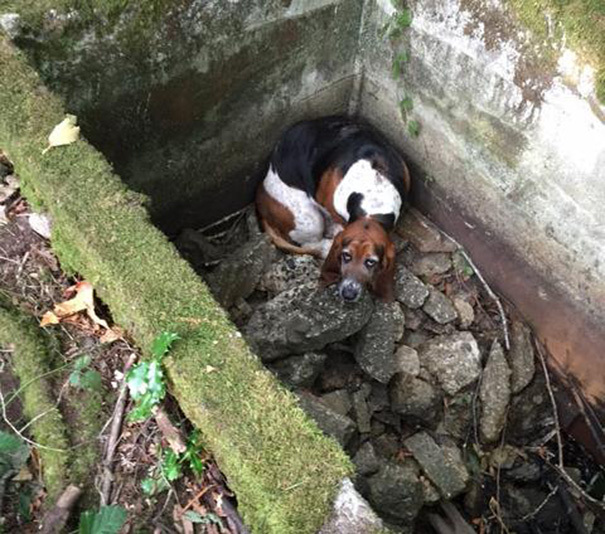 A stranger soon reported that Tillie had been seen on their property seemingly trying to draw human attention, so the VIPP volunteers set out to investigate. 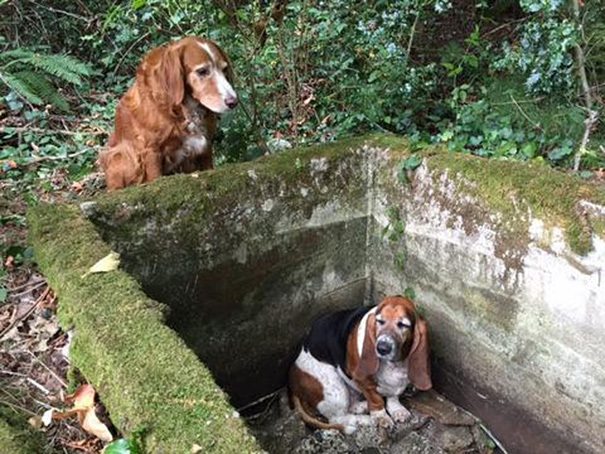 0 responses to "Dog Spends A WEEK Guarding Her Trapped Best Friend Until Help Arrives"